I come from a GIS background mainly using ArcMap and QGIS, but am now doing more image processing work and so have decided to start using ERDAS IMAGINE 2013. I am attempting to project a shapefile from WGS 1984 to British National Grid. 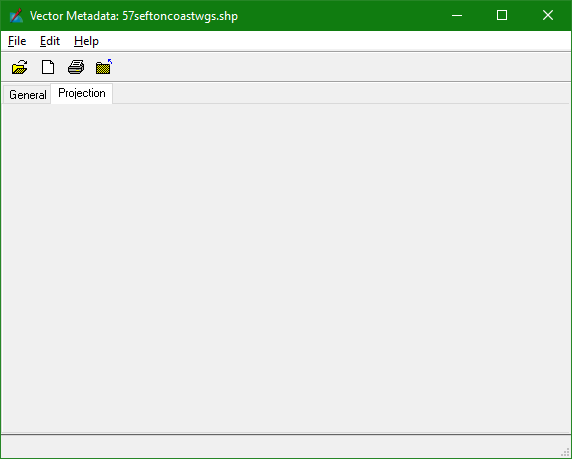 Selecting Edit -> Add coverage projections (I assumed this was a way of defining the projection for the layer), I select Edit Projection Parameters, and then select WGS 84 and Decimal Degrees. 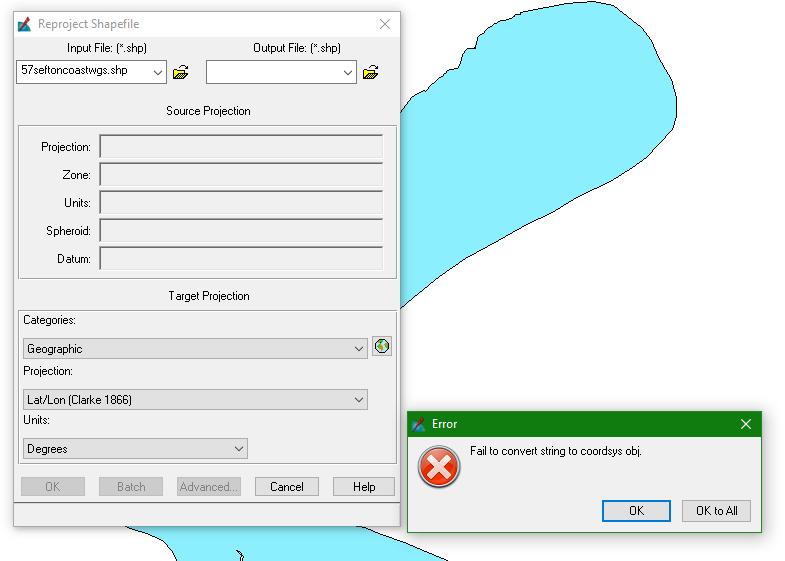 I select Yes overwrite PRJ file, then get the error message "Faled to translate erdas map projection to PE coordsys. ", which again brings up no results in Google. ERDAS seems to be unable to read projection information for my shapefiles, or possibly unable to read the .prj files. Watching this video using an older version of ERDAS: https://www.youtube.com/watch?v=Vfk4eOJ92xw the process seems straightforward enough, but I've tried various shapefiles from different sources, and new shapefiles made in Arc and QGIS, and get the same error. I've managed to reproject raster data fine. I can reproject the shapefiles fine in ArcMap, but like I said I'm trying to get used to ERDAS as much as I can. Is there a step I'm missing somewhere? I also experienced similar problem. To solve this problem, I followed the following steps. i. ArcGIS>ArcToolbox>Data management tools>Projection and transformation ii. From Projection and transformation>define projection> Define projection has two parameters and they are input shape file and coordinate system. iii.Drag and drop your shape file in the input shape file box iv. Select your coordinate system. As I worked with Dhaka, I used wgs 1984 for as the coordinate system. I think you can try with wgs 1984 coordinate system. After completing these steps, open the file in erdas imagine and follow the steps for creating aoi file. I hope you will get success. Not the answer you're looking for? Browse other questions tagged coordinate-system erdas-imagine or ask your own question. Can I just swap out a .prj file to reproject a shapefile? Copy a .prj-file from another shapefile to a new one when the projection is known?